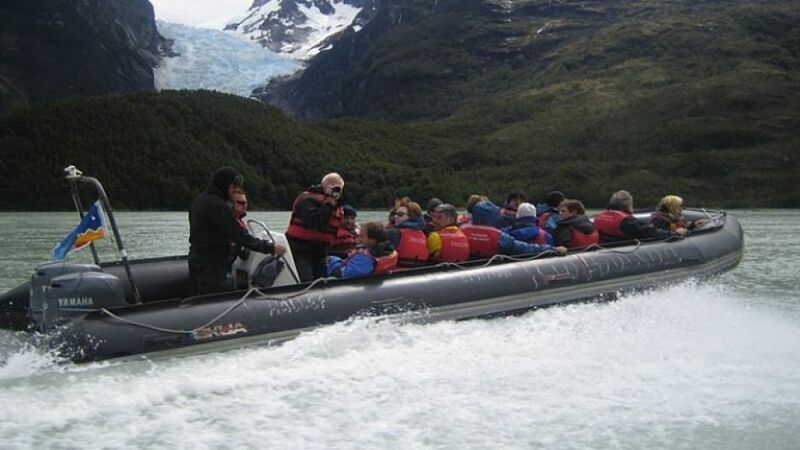 Navigation by boat from Puerto Bories to the Balmaceda and Serrano glaciers, through the Ultima Esperanza Fjord, sighting of beautiful mountains, waterfalls, estancias and Patagonian avifauna. 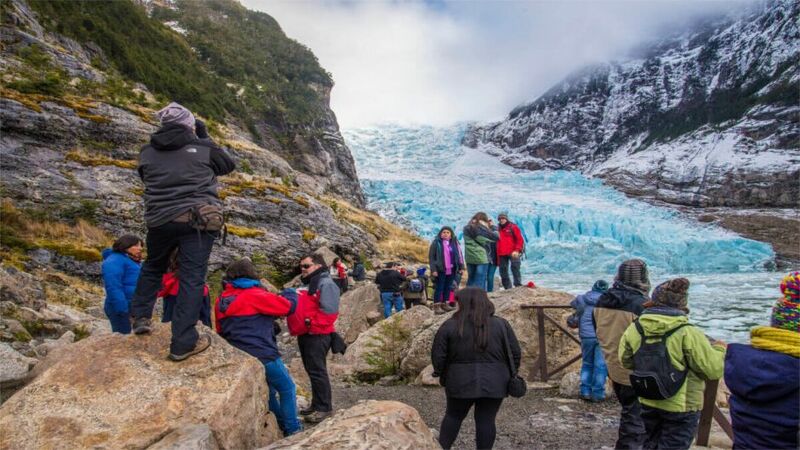 Visit Balmaceda Glacier and hike through leafy forest of coihues and ñirres to the foot of the Serrano Glacier. Lunch at Hostería Monte Balmaceda consisting of pisco sour of welcome, consommé, salmon with accompaniments, salads, dessert and wine or drinks, or vegetarian alternative. 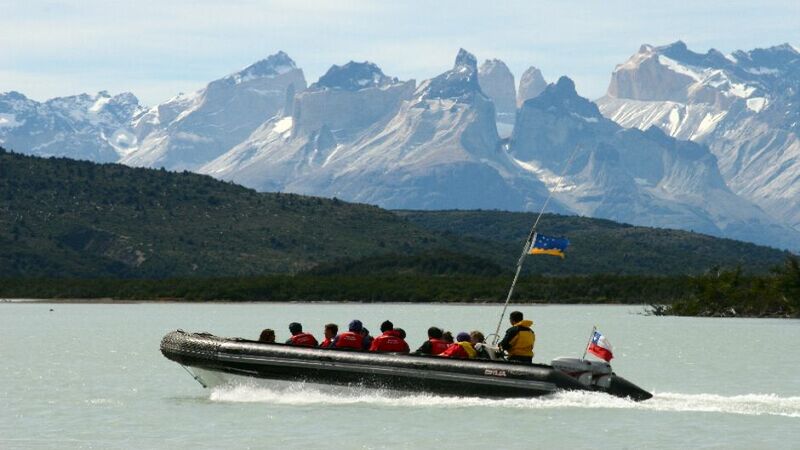 Sailing in boats on the River Arriba on the Serrano River, spectacular trip, with good views of the Southern Ice Field and the native Patagonian forest. 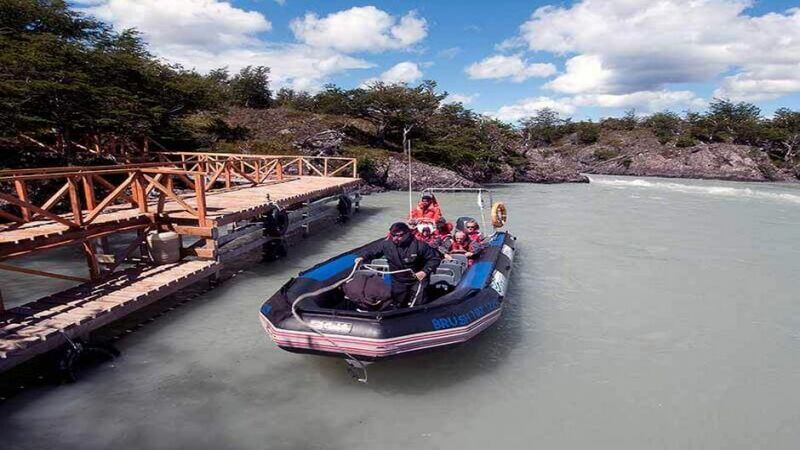 Arrival at Pueblito del Serrano sector in Torres del Paine. 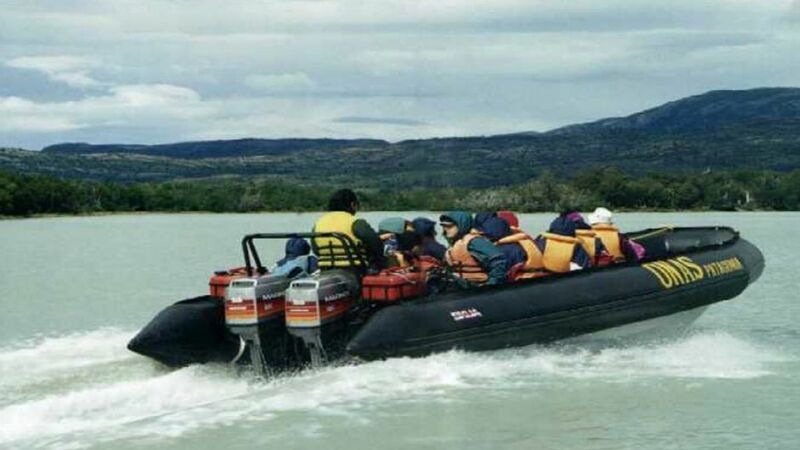 Land transfer to Puerto Natales. Coffee or tea on board.